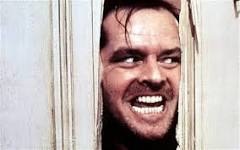 Here’s Andy! | The Lola Boys Do The East ! Well, we’ve moved uptown and Andrew seems to have drifted in the opposite direction! ! I thought this journey would be geographical but it has started to become emotional too! ‘The Lola Boys’ are splitting up! Who knows where we’ll meet again -but I do believe Vera Lynn was correct when she kinda sang – they’ll be a when! This Is a super blog/travelogue Paul.